Two weeks in and finally a good forecast. We raz across to Switzerland; Citroen C1 buzzing along the motorway and struggling up the hills until we finally reach Grindelwald and the car park at the Kleine Scheidegg train station. We have a comedy moment trying to work out where the Eiger is (the clouds were fairly low…) and swiftly pack our bags in time to hop on the train. Kleine Scheidegg’s a rush of excitable Japanese tourists and drunk German’s so after a quick bite to eat we swiftly leave in search of a good bivi spot somewhere beneath the North Face. As expected, the powder on the approach was pretty deep and putting in tracks was hard work despite the short distance. The face looked to be in good condition though: its angle steep enough for snow to quickly avalanche off. 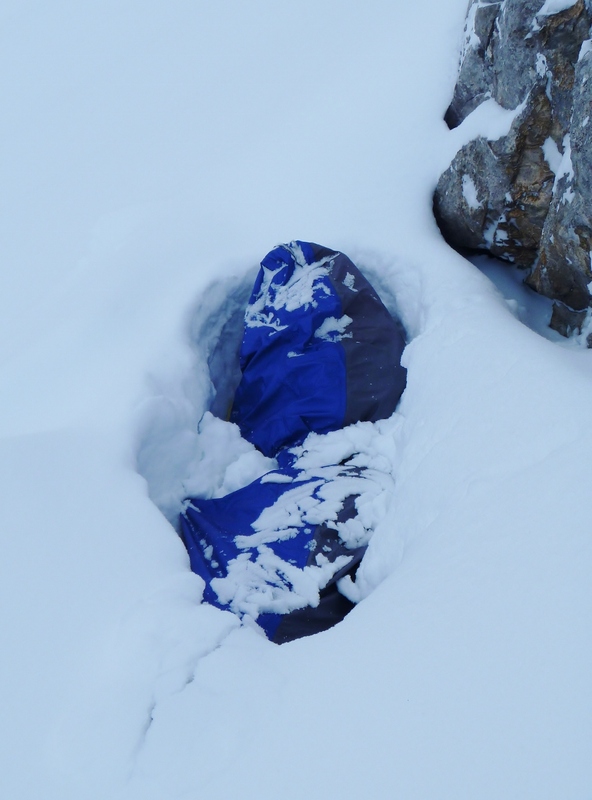 We finally found a reasonably good, sheltered bivi spot and quickly dug out a nice ledge in the snow to sleep on. The wind picked up a little as the night-time drew in carrying with it spindrift snow which forced us to fully envelope ourselves inside our bivi bags promising for a claustrophobic night’s sleep. 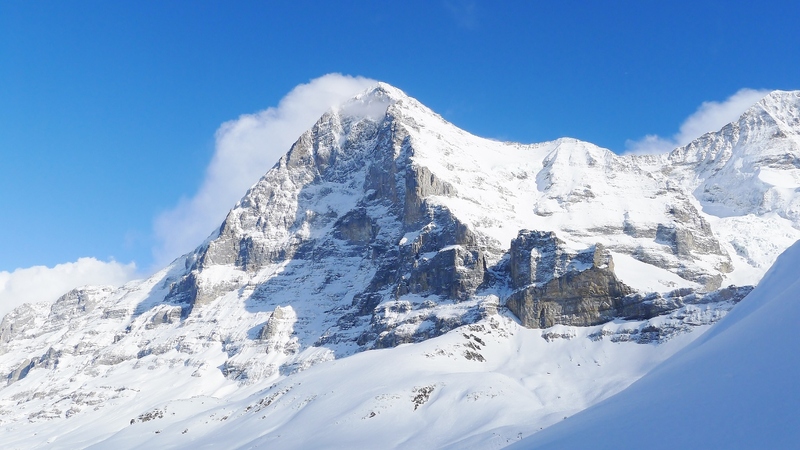 The North Face of the Eiger. 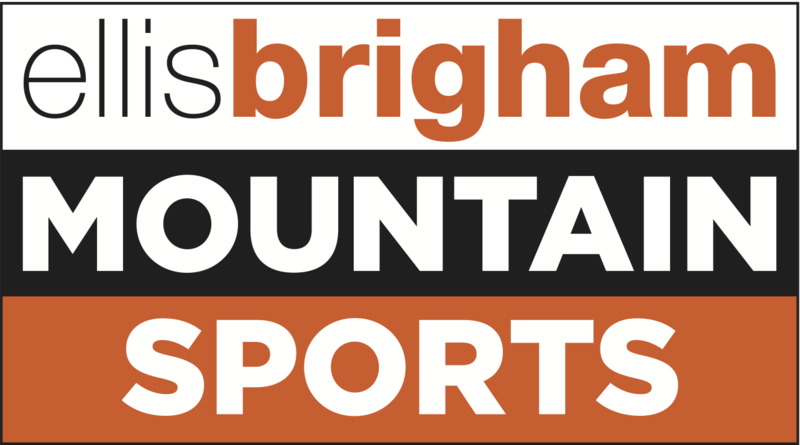 Those words have a different effect on each mountaineer you speak to. I remember first setting eyes on the North Face when I was around twelve years old whilst on a walking holiday across Switzerland. Even then I’d heard the stories and epics that climbers had had on that face despite never having done more than a scramble in the hills. At that point, I thought that if you wanted to climb the North Face of the Eiger you must have a death wish! So it’s funny, seven years later, returning to the face expecting to make short work of the route and, in all honesty, not feeling too worried about the difficulties or dangers involved in getting up it. It actually feels as if it’s an obligation for me, as a climber, to get up such an impressive and historic wall. 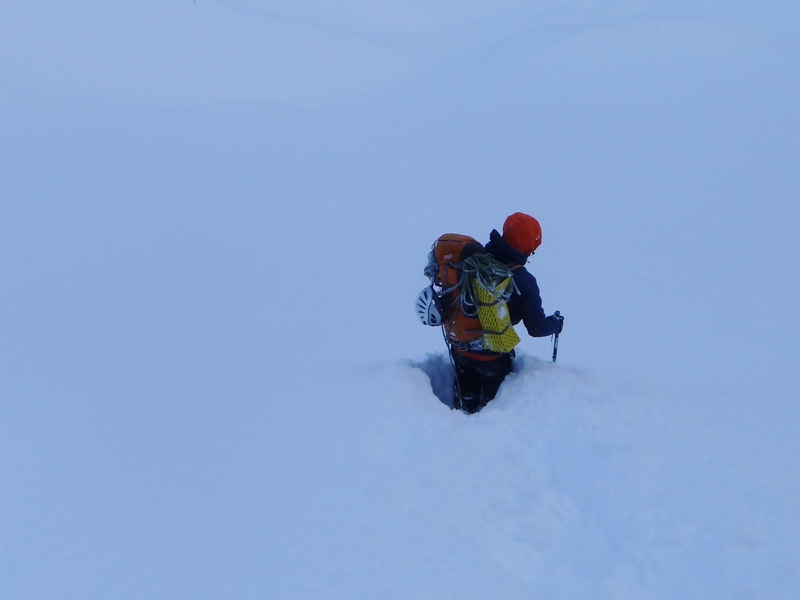 I don’t know whether it was due to being slightly hypoxic, cocooned in my bivi bag that night, but I had a host of vivid dreams- one of which featured me being buried alive under snow. It was no great surprise then that I woke up at 4.30am struggling to move out of a trench of snow. Because it was dark, I couldn’t really tell how much snow had fallen, so I shouted across to Andy to wait for first light so that we could assess whether to head up or not. Things didn’t look much better when it got light: around a metre of un-forecasted snow had fallen over night. For a minute I was still keen to head on up. Too many recent failures were fresh on my mind and I was letting frustration affect making a sensible and obvious decision. I guess you’ve got to take the good with the bad because, at the end of the day, failure’s just a part of climbing and, without trying to sound too clichéd, it’s the failures that make the successes all the more special. Maybe I was in for a bit of bad luck following a series of successful trips last year? Hopefully the odds are stacked in my favour for the rest of the year now and as Edward Whymper once said: Time spent in reconnaissance is seldom wasted. 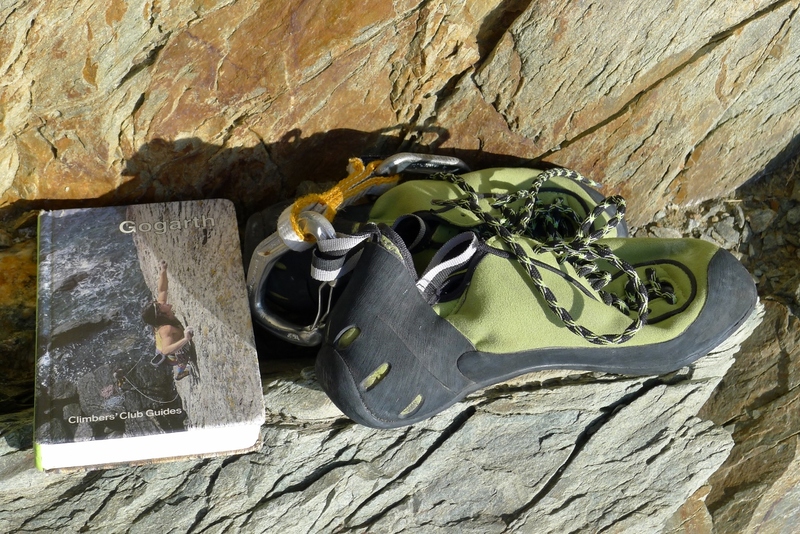 Sun, rock, guidebook and climbing boots. What more do you need? 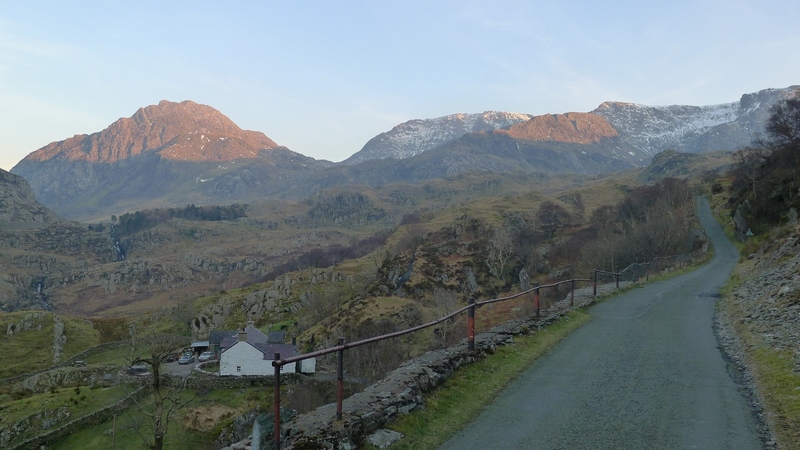 The good weather seems to arrive earlier and earlier in North Wales every year. The best weather we had last year was in March and the rest of the year was a washout. It hasn’t rained in North Wales for two weeks now (!) and although the air temperature’s been pretty chilly, the sun’s been out to make it warm enough to climb. 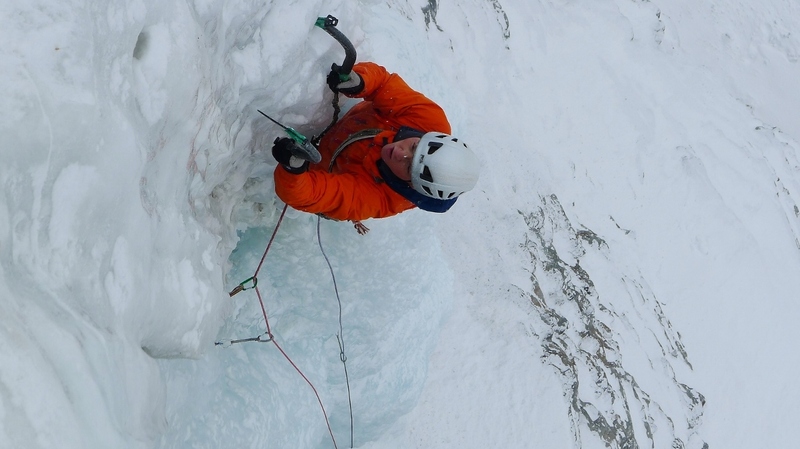 Having not trad climbed in a couple of months I was keen to see how I was going. I’m feeling fairly unfit at the moment but I tend to climb quite well at the start of the season because I’m so psyched to be rock climbing again! Gogarth has been the place to be recently. It’s had the best weather and has loads of South facing walls, perfect for early season climbing. 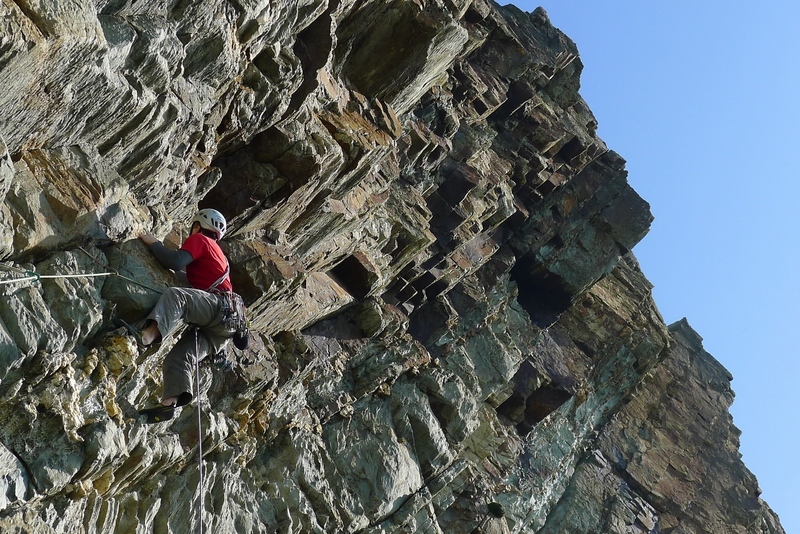 The Yellow Walls have some of the most 3 dimensional climbing at Gogarth. All the lines go diagonally upwards following grooves and despite looking sedate, they overhang an awful lot which makes the climbing very strenuous. Add to this a large amount of loose and generally friable rock as well as some questionable gear and you’ve got a good adventure planned for the day. My first routes of the season were ‘Ludwig’ and ‘Me’; both strenuous E6 6b’s on total choss! Although the climbing on both routes was steady the “experience” was pretty memorable with talcum like flakes of rock falling into your eyes and hair non-stop whilst the holds you’re gripping are creaking. The climbing was really burly. None of the hand holds faced the right way and most of the footholds were crumbling under my weight. After a long battle up the steep groove I made it to the final difficult moves. I procrastinated a little bit too long here and was ejected onto some good gear! After a long rest I pulled back on and made it to the top of the cliff with burning forearms. I was so pumped that I struggled to pull the ropes up to belay Adam! 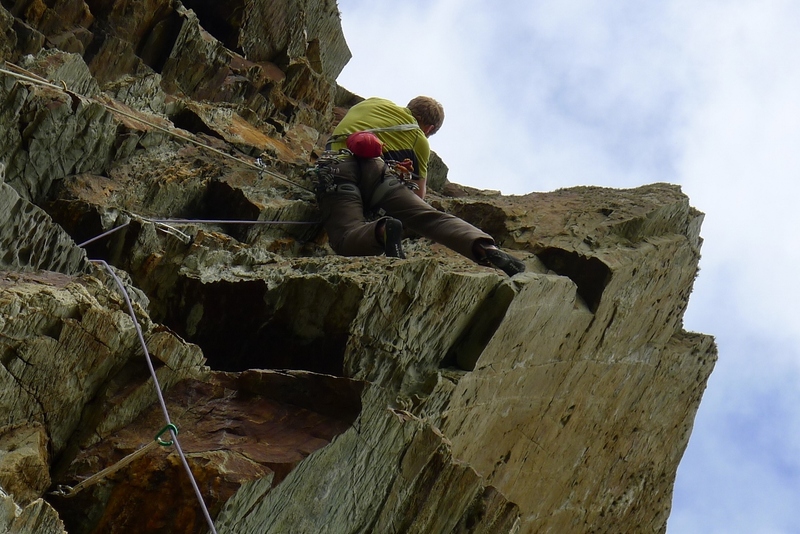 As well as climbing on the Yellow Walls I got a few other great routes done at Gogarth. ‘Free Stone Henge’, graded a very generous E7 6c climbs up some awesome and well protected roofs underneath the bird watching tower at South Stack and Eraserhead, a great multi pitch outing on Main Cliff were just a couple of the best. 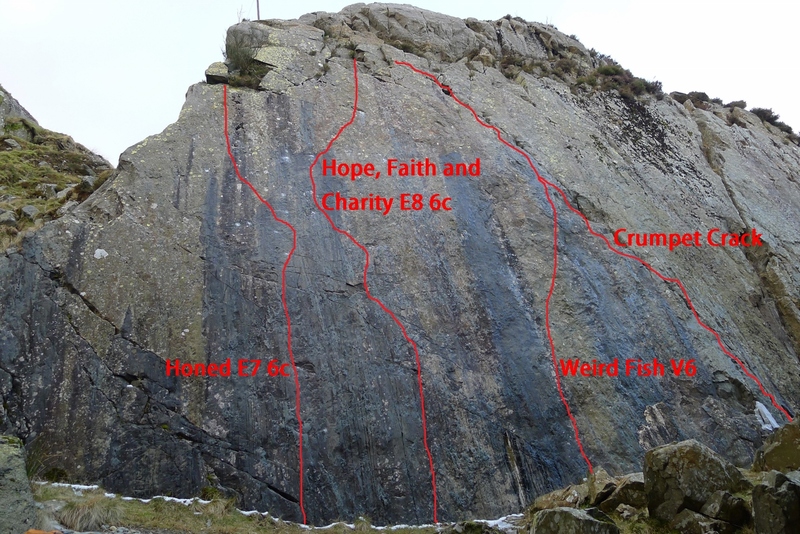 As well as doing some on-sighting I head-pointed a spicy slab climb in Tin Can Alley, an old hone stone quarry at Ogwen. Tin Can Alley’s a bit of an old haunt of mine from my school days where I made the first ascent of a technical E8 slab. After belaying a friend on the E8, I top roped a line to the left which was a little easier and finished slightly lower than the original line. 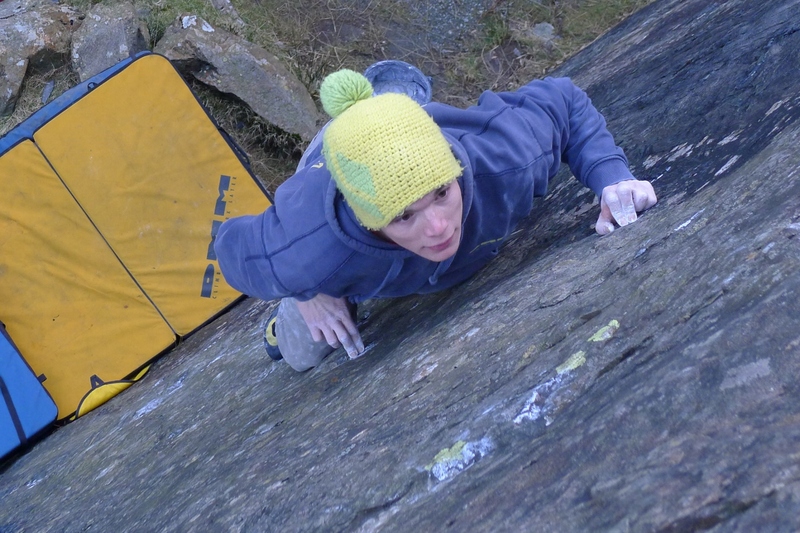 I returned a few days later after borrowing a bunch of pads from Ogwen Cottage outdoor centre and soloed the new line which I called ‘Honed’ and graded E7 6b. Although the slab isn’t much to look at it’s got some great climbing and the routes have a fairly unique style for North Wales as well as being very convenient with only a one minute walk in. 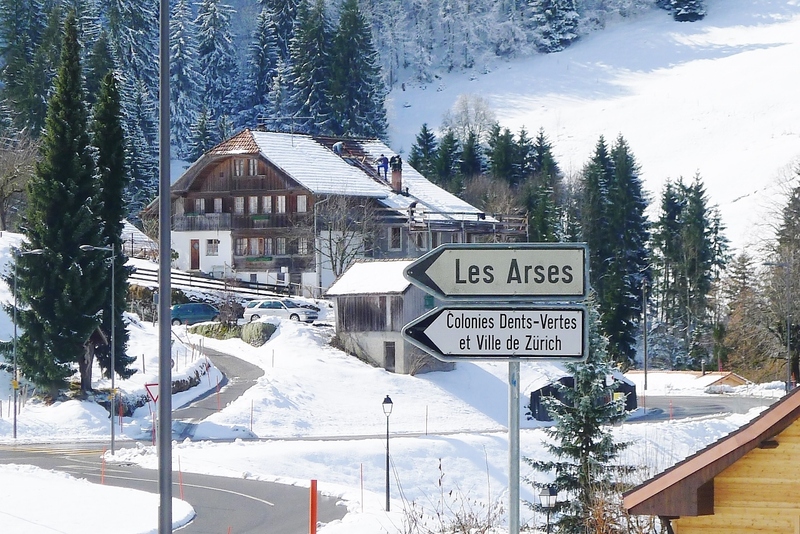 I’m off to the Alps for a month tonight; fingers crossed I get good weather!